When the wind starts blowing and temperature begins to fall, everyone is going to want to wrap up and cover up, so get your orders now for inexpensive wholesale ski masks and face masks and get ready for the annual winter apparel sales bonanza! We have an amazing collection of wholesale ski masks for you this year, so take a good look around and pick your choice of high quality winter ski masks for your store now. 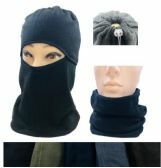 For skiing vacations, trips to the mountains, of for everyday use, these top-quality, low cost wholesale balaclavas and ski masks are guaranteed to be best sellers. 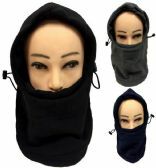 Black ski mask at wholesale bargains are now being purchased here at Wholesale Sock Deals. There are 3-hole ski mask wholesale bulk deals, designer 3-hole ski masks at huge bulk discounts, Half face ski masks wholesale bargains, and much more. When you buy in bulk from Wholesale Sock Deals, you are guaranteed to get the best wholesale prices on half face balaclavas, winter half face masks, 3-hole ski mask patterned, and right across our amazing winter clothing range. Wholesale Sock Deals is the number one wholesale supplier of ski masks and winter apparel to the retail trade and to charities, so order your ski masks wholesale from Wholesale Sock Deals and get a great bulk discounted deals on balaclava half face masks and on all your wholesale ski masks. The biggest bulk discounts in winter unisex ski masks will always be right here! 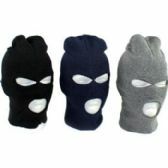 So, place your order for cheap cases of wholesale ski masks now and start saving money with Wholesale Sock Deals today! 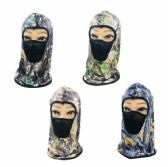 Order your wholesale ski masks now and save money on all your bulk purchases of black ski mask wholesale purchases, half face ski masks wholesale cases and balaclava half face masks. Whether you run a retail store, or you are buying for a charity, we always offer the biggest discounts on wholesale ski masks at Wholesale Sock Deals! You can buy 3-hole ski mask pattern masks, wholesale balaclavas, designer 3-hole ski masks and half face balaclavas at huge bulk discounts here. They are all top-quality winter apparel, and they are all priced at the lowest wholesale prices. Whether you buy one case of 3-hole ski mask wholesale, or you need twenty cases of inexpensive winter half face masks, all your wholesale orders are delivered free when you shop at Wholesale Sock Deals. That’s just one more reason why buying ski masks wholesale from us will always give you such a great deal. 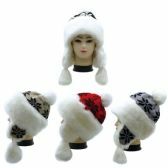 Wholesale ski masks are great value items for ski stores, outdoor leisure stores, family apparel stores and discount stores, so don’t miss out this amazing opportunity to purchase high-quality ski masks and winter balaclavas at the lowest wholesale prices. You won’t find bulk cases of wholesale ski masks at low discounted prices like these anywhere else. We are the cheapest supplier of high-quality wholesale everyday clothing on the market! 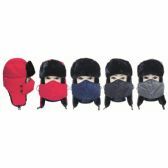 Order your bulk cases of wholesale ski masks, face masks, half face ski masks and balaclavas and stock up the shelves of your retail store with the best selection of inexpensive ski masks around!